If your company is trying to decide what mobile devices to purchase, but are having a hard time with the decision you’ll have solace to know that you’re not alone. Everyone in the industry is trying to answer this very perplexing question. No matter what Apple, Windows or Android zealots are shouting the state of the situation is due to the ever changing speed of the internet and the delivery of Content over it, coupled with the limitations of Mobile Devices. There has been a decade long build up to this point and despite how we have arrived here, your company will no doubt be reaching the point where clients are finally asking for mobile projects, your company is researching upgrade devices, and your employees and departments are looking to invest in how they can contribute to the fight. So… Let’s Speak the TRUTH about Mobile, void of advertisement and gimmicky “High-Level” stage presentations by Apple’s Steve Jobs, Windows’s Steve Balmer and Google/Android’s Eric Schmidt and break down how we got here, and what your company can do to maximize its Mobile Future. To do this we need a brief history lesson of the Web, Web Browsers and Mobile Devices. The delivery of Content over the internet has evolved into many languages, disciplines and now spans different devices but the TRUTH is the overall concept of HOW Content works over the internet has remained mostly the same. THE TRUTH Web Browsers use HTML and HTML is nothing more than a <TITLE > Mark-up Language </TITLE> To understand how MarkUp language is used by Web Browsers you have to understand how Web Browsers work. it would be up to the Web Browser to hand off this sound to the operating system to play the sound… This process is TRUE for Apple, Windows and Android. ALL Web Browsers have two basic problems. This gives rise to the question of ubiquity. If you have to use one of these embedded languages… WHICH ONE? Some languages have their own ability to play media without other plugins, like Flash and Silverlight for instance can play audio, video, support animation can save temporary files and can connect to databases. The second is because of the nature of Markup languages, markup languages are nothing more than a universally accepted way of passing information back and forth. Which means your browser may be able to talk to the web, but ultimately it is your operating system that decides to do something with the content received. Think about it like this: If you’ve gone to a web site that has .MOV video files… but you don’t have Quick Time, The Web Browser along with HTML have technically done their job getting the video file to you but it will not play because your operating system doesn’t know what to do with the .MOV file without a Quick Time Plug-in. These two basic problems have literally shaped the web since it’s inception, and as I said before they plague ALL web browsers whether you’re on a Mac, PC, Linux, iPhone, Android, Windows Phone, BlackBerry etc. So let’s speak the TRUTH about Mobile…. What does this very brief explanation of the web and web browsers have to do with being able to see through the Calamity? It helps to know that no matter what Browser you’re using, it suffers from the same problems. So if all the browsers are mostly the same, what’s the big stinking deal? The big stinking deal is Mobile Devices which by nature have two fundamental problems. The first is fairly obvious, Mobile devices are small. Limited space prevents high speed processors and large hard drives to be used… Unless you work for the secret service or your James Bond. This is TRUE for every mobile device whether its Apple, Windows, Android, Black Berry etc. There’s a reason your laptop and desktop PC have Fans… They get hot because of the processor. The second is also pretty obvious, Mobile devices have limited screen sizes. With an average screen size no bigger than a deck of cards, there isn’t a lot of viewable real-estate. Again even if you wanted to run PhotoShop or play the World of War Craft the experience would be slighted because of the viewable area. This also gives rise to the idea that if you managed to pack the interface of PhotoShop down into the viewable area of a Mobile Device, the buttons and interface would be so small that you wouldn’t be able to navigate around with your fingertip you would need something smaller than your finger tip like a stylus. Because of these two fundamental problems Mobile Devices have always struggled with Speed and Size Brand Identity issues. In the beginning the over-all branding of Mobile Devices were sold as “Pocket PCs” with the intent that you could do work on them on some level the same as you would on a desktop or Laptop. But it wasn’t until the Nintendo Playbook was resurrected as Apple’s playbook that the over-all branding of Pocket PC became Media Consumption Device. Hype is created by the manufactures to lock consumers into the money making trends of buying low end devices that are “closed” or “un open-ended” in contrast of Note Books or Desktop PC that can be expanded with more memory or a new video card extending the life of the device. Hmmmm now which one of these scenarios creates more revenue for the manufacturer? Well you’d be an idiot if you couldn’t figure that math problem out. The Answer is the Apple iPod scenario, hence when you hear about Apple sales going through the roof NOW YOU KNOW WHY. But as we are speaking the TRUTH let’s not blame Apple for all the wrong doings in the technology world, let’s talk about why and how selling “closed” devices somehow got popular, and how selling Higher-End Mobile devices is about to make a full swing back into mainstream. 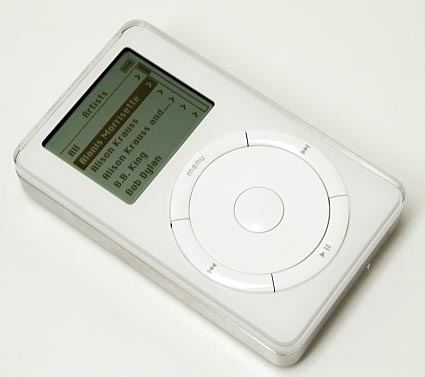 Apple did in fact figure out how to sell PDAs to the general public, and has been incrementally moving the general public from the iPod to the iPhone. The Problem Apple faces now is that Nintendo’s playbook was ultimately designed to be strictly a media consumption device and never as a production device. If you have been paying close attention to the mobile atmosphere lately the concept of a consumption device has been pushed to the forefront. Due to the reasons we’ve mostly covered about hardware and software restrictions, but there has been an emphasis on Mobile Web Browsing/ HTML5 and Embedded Languages. Because Tablet PCs, PDA/Phones and Netbooks are reaching a hardware maturity in which they almost have the processing power and battery life to be production devices, eventually the question isn’t going to be how do we make a fully productive Mobile Device but How does the Mobile Device fit into the bigger picture? The Big Picture… What does this mean? Integration into your company infrastructure, integration into your life. The truth is with everything we just went over the real investment your company needs to make now to secure its mobile future is INFRASTRUCTURE. Any mobile device you choose for your company will only ever be as good as the system that supports it. The reason for this step is to get an over-all sense of what you have. As an example: If you have Microsoft Servers, Exchange Server, Microsoft Office 2007, and an Intranet that runs ASP.Net. Why would you buy Android phones for your employees which natively runs cut down version of Linux? Step 2: How savvy are your Employees? Is this their first PDA/Phone? What type of things will they be using the PDA/Phone for? Do they need training? Step 3: What sort of Mobile Devices do your clients have? What do your clients infrastructures look like? If 80% of your clients are running certain hardware and software infrastructures… do you really want to project yourself as mobility obtuse. Step 4: Star Trek had all the answers… How many different functions can your mobile device do? How hard do you have to push the device to get your outcome? I keep all my contacts in Outlook, Facebook, and Windows Live. When I connect my Phone to my computer, it syncs my Email, Contacts, the Agency Calendar, my Notes from various meetings, new Bookmarks from my web browser, Backs-Up my SD, and boots up Zune and starts playing the song I was listening to in the car… Without me touching anything… Again this speaks to infrastructure, but is ultimately the driving factor of how many mobile devices connect together.